Your second layer favourite for on-the-job warmth. 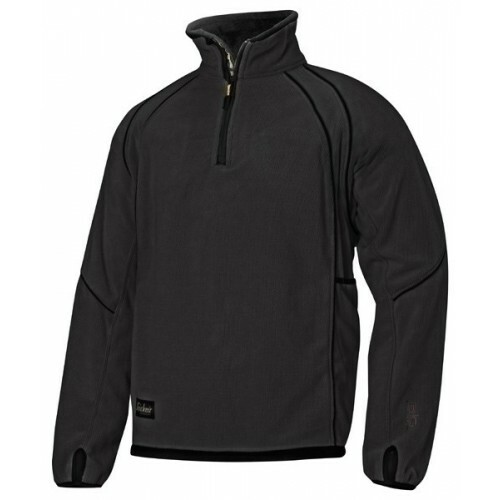 This perfectly cut fleece jacket gives you essential insulation for a warm and comfortable working day. • Comfortable high zipped collar with inner zip cover protects your neck from the elements. • Thumb grip in the cuffs holds the sleeves in position. • Soft working comfort with cosy brushed fleece on the inside. • Advanced design and drop-needle knit for a contemporary fit. Material: 100% Polyester, 2-sided brushed fleece with anti-pilling, 300 g/m2.